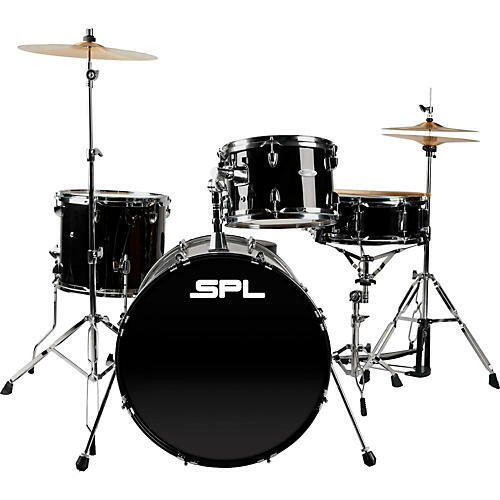 The Sound Percussion Labs D4420 Unity 4-Piece Drum Set with Stands and Pedal is a "Go To" choice for any player who is looking for great tone, easy setup and knockdowns, and a reasonable price. The Unity D4420 features rugged, multi-ply shells, precision 45-degree bearing edges, low-mass lugs and is built to last - in your home studio or out on the town. Includes stands and chain-drive pedal. Whether you are a seasoned pro who needs a smaller gigging drum set, or just beginning your musical journey, D4420 Unity drum set includes everything you need to start playing - just add your own throne and cymbals.